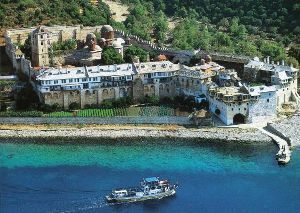 The Holy Monastery of Xenophontos stands on the western shore of the peninsula, between the Monasteries of Docheiariou and St Panteleimon. Its founder was St Xenophon, who was the monastery’s Abbot. During the 16th century the majority of the monks were Slavs. In the following century it owed huge sums to a syndicate of Jews and it lead to it’s financial collapse. In the 18th century the Monastery was re-established, the enthusiastic Abbot Paοsios of Lesvos added new buildings and brought new life to the Monastery. This was finished by the time of the outbreak of the Greek Revolution in 1821. The old Katholikon is on the southern side of the Monastery decorated with Early Christian symbols. Its construction dates back to the 11th century, although there have been subsequent additions: it was adorned with a wooden sanctuary screen in 17th century and its wall-paintings were repainted. The Monastery has 600 manuscripts and approximately 7,000 printed books. Among the treasures of Xenophontos are a piece of the True Cross, sumptuous reliquaries containing the relics of saints, sacred vessels, and vestments. 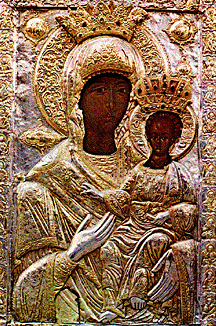 The icon of Theotokos Hodigitria. The icon was initially located in The Vatopedi Monatery but in 1730 it was miraculously transferred to Xenophontos Monastery. The monks from Vatopedi came to take the icon back but on the next day it was found in Xenophontos again and it’s located there since then. 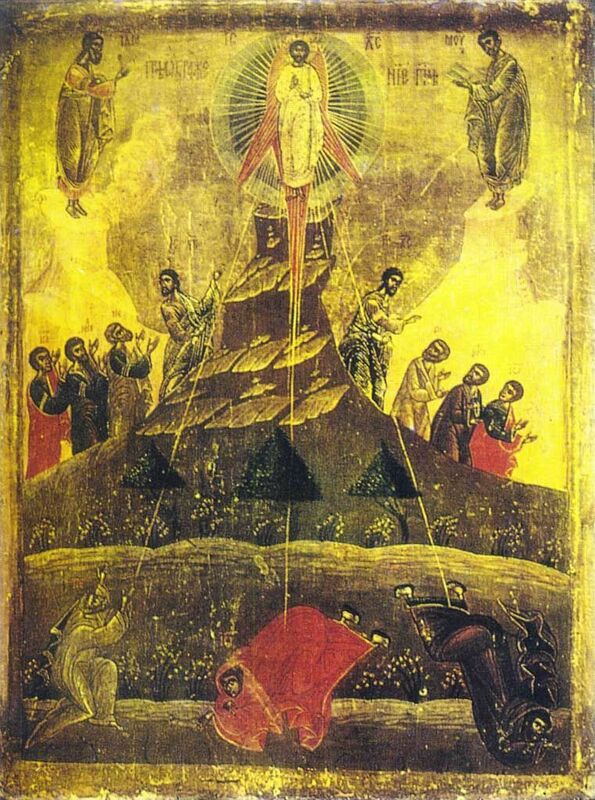 The icon of Our Lord Transfiguration is a very rare icon painted in the XIIIth century by was paints on stearin. 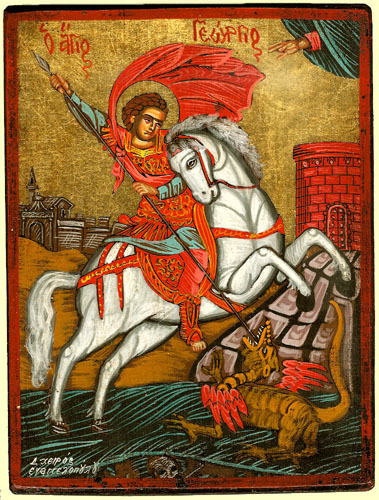 The icon of St. George. The back side of the icon is partially burnt. According to the myth the icon was put on fire by iconoclasts but was saved and thrown into the sea and was found by the monks from Xenophontos. It is believed that the wound from the iconoclast’s knife bled as if it was a human being’s.